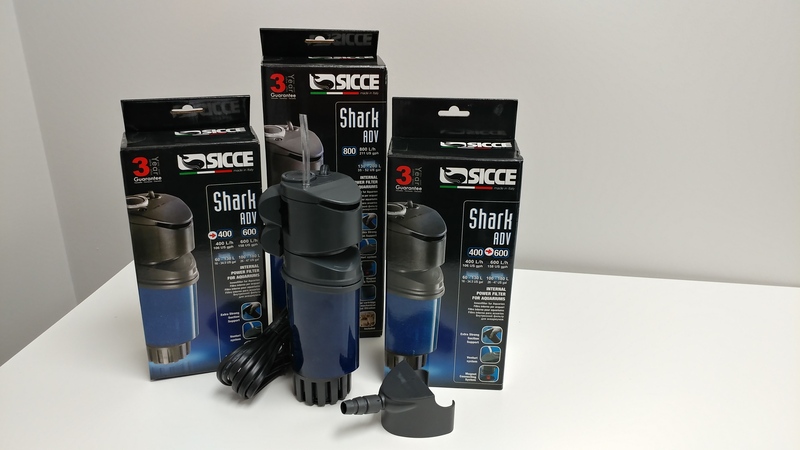 The Sicce Shark ADV is an extremely quiet three-stage internal power filter with a neat feature that lets you easily access the filter media without taking the pump out of the water. This unique filter has a media chamber that couples to the pump by use of a magnet which makes it a breeze to remove the chamber and perform maintenance. This chamber can be used with the sponges that are included, but can also be modified to use as a media reactor and works great in Refugiums! The Shark ADV is equipped with a venturi system for improved oxygenation. The revolving pump head allows for directional water flow in a 150° angle. The easy to attach 4 suction cup mount means the pump will stay secure in your tank and not fall off of the glass. The bottom of the filter has an adjustable strainer to allow control of water coming into the filter. The opening can be adjusted from 1mm to 4mm in size to allow a little or a lot of flow, which might make it useful for filtration of fry tanks. 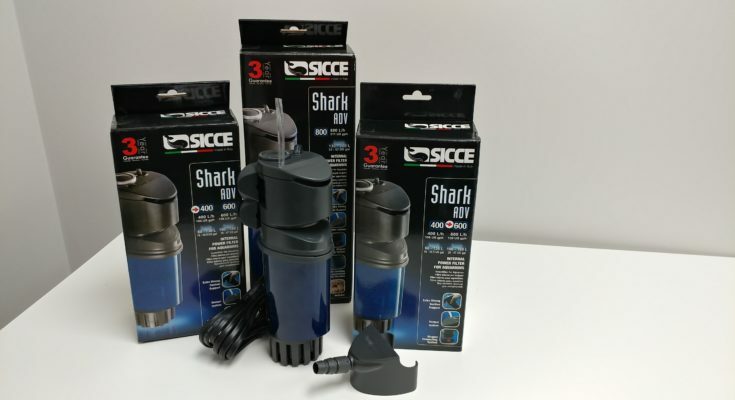 This can be used in freshwater and saltwater aquariums and comes with a two year warranty from Sicce. Simple magnetic coupling system for easy access to filtration media and cleaning.